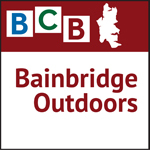 In this debut episode of “Bainbridge Outdoors,” BCB host Annie Osburn walks with Dan Hamlin, park services superintendent of the Bainbridge Island Metro Park & Recreation District, through the heart of the Grand Forest. They begin their adventure at the Miller Road trailhead in the Grand Forest West. Together, they wind their way along the main loop trail to waypoint 17, where they turn left and head toward east side creek and the Grand Forest bridge, which was refurbished in 2012. 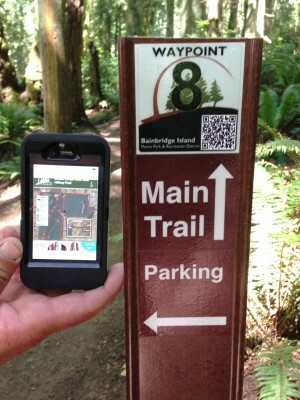 New waypoint signage in the Grand Forest has smartphone readable “QR codes” linking to trail maps. So it’s easier to find your way on the marked forest trails. Listen to the sounds of deep forest and the soft crunch under foot. 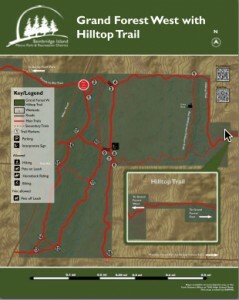 They then cross the bridge, merge onto the Ron Williamson Trillium Trail and head up to the open meadow at Hilltop, which connects to the Hilltop Trail and the Grand Forest East. Covering more than 200 acres, the Grand Forest is comprised of the Grand Forest North, East and West, with the east and west sides now joined at the Hilltop meadow—creating the first east-to-west trail connection across the island. And all of it is on public land or public easements. The Grand Forest offers six miles of trails (three miles on the east side, and three on the west), which are open to walking, hiking, bicycling and horseback riding. 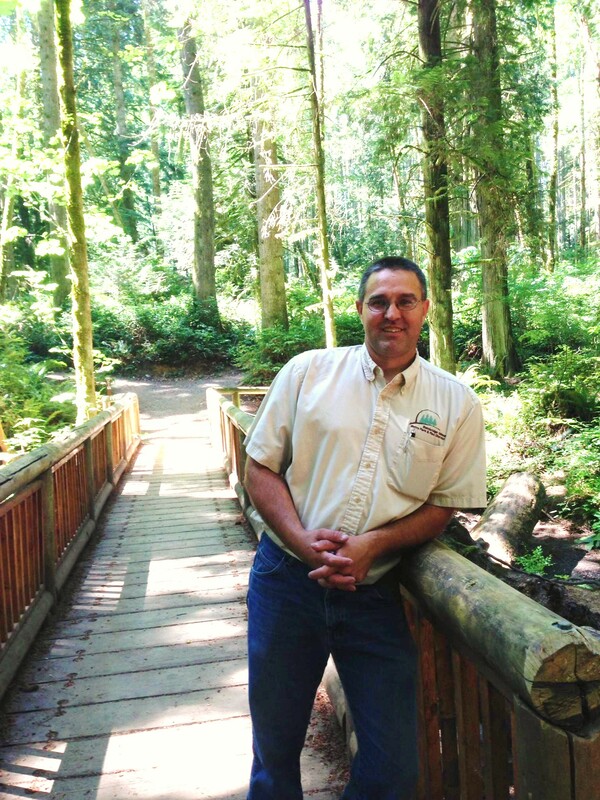 In this podcast, our guide and expert is Dan Hamlin of the Bainbridge Island Parks and Recreation District. Six trailheads and three parking areas make the Grand Forest East and West easily accessible from several directions. Rich in Pacific Northwest native plants, the Grand Forest offers plenty of Douglas fir and cedar trees, bracken fern, salal plants and evergreen huckleberry. Visitors to the forest also may see deer, raccoon and coyotes, as well as mallards and the occasional barred owl or great blue heron. Hamlin notes that the creation of the Grand Forest trails strongly relies on the ongoing support of volunteers. Click on this poster of Grand Forest West (the location described in this podcast) to expand to a larger view. Whether you are a novice hiker to the Grand Forest or a regular visitor, there is always something new to experience. 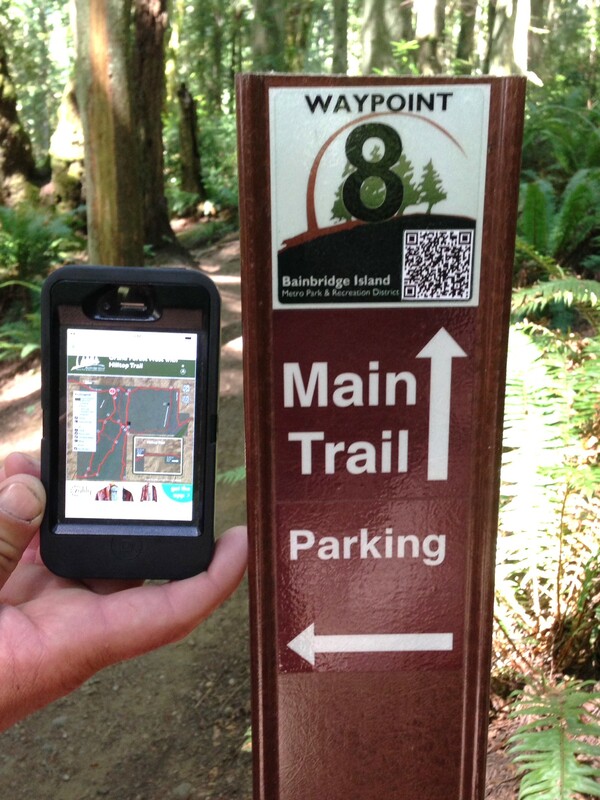 Recent enhancements to the Grand Forest mapping system include waypoint signs with QR codes that can be scanned with a smartphone to access a trail map along the way. Correction: During the recording of this episode, Dan Hamlin incorrectly stated that it’s possible to walk from the Veterane trail all the way to Manitou Beach. He meant to say the Fairy Dell trail. The Veterane trail is currently under construction. Credits: BCB host: Annie Osburn; BCB production manager, field recording tech and audio editor: Tim Bird; BCB Outdoors music and nature splash: Jeffrey Powel; Podcast art: artopia creative.